Current 4G networks are approaching the limits of what is possible with this generation of radio technology. Future 5G networks will be highly based on software, with the ultimate goal of being self-managed. Machine Learning is a key technology to reach the vision of a 5G self-managing network. This new paradigm will significantly impact on connected vehicles, fostering a new wave of possibilities. 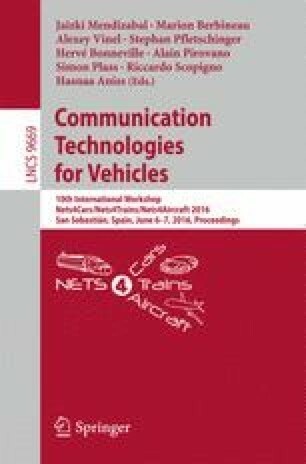 This paper presents a preliminary approach towards Autonomic Network Management on a connected cars scenario. The focus is on the machine learning part, which will allow forecasting resource demand requirements, detecting errors, attacks and outlier events, and responding and taking corrective actions. This work was fully supported by the EC project CogNet, 671625 (H2020-ICT-2014-2, Research and Innovation action).